I'm heading to Dragon Con 2016 next week, which runs from September 2nd to September 5th. Maybe I'll see you there? Description: Gaming is one of the fastest rising, most exciting careers for writers. Our pros give details on succeeding in this market. 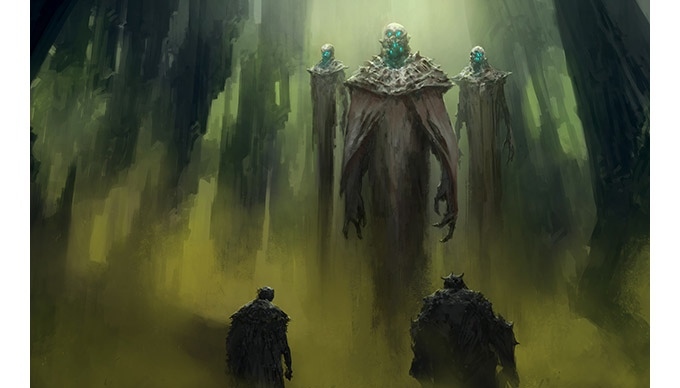 Description: All the latest from the makers of Numenera, The Strange, and No Thank You Evil! The lead designers of the company are all here! They talk about their current products and SPECIAL ANNOUNCEMENTS! Description: Speak with some of the best designers in the business on creating your own monsters within a game system. Title: Help! My Game is On Fire! Description: With just a side of sarcasm and humor, our guests will help you fix those seemingly unfixable problems within your own games. Join some of the top level designers in the business to help you put out those fires! Description: How do you portray "pure" evil in a game? How can you add that touch of the sinister in your game? Can darkness and flames be portrayed without losing its mystique? As I write this, it's day 2 of the Silver Sun. Tomorrow, a new sun will rise, marking day 3 of a 34-day Kickstarter for Invisible Sun. The Invisible Sun crowdfunding campaign is written in the voice of characters who live in the world of the game, those who know our "real" world as a lie; as shadows designed to obscure and confuse. Writing in voice is great for immersion. But in-character text doesn't directly address gameplay. Which is why there will be updates that aren't written in-character that talk about creating player characters, game mechanics, and so on. As a for-instance, check out the 2nd update that describes 3 modes of game play for Invisible Sun, or modes, depending on the situation. Each has its use to address certain types of narrative in the game, and each solves certain types of issues that can arise. Other updates will continue to be in the voices of characters from within the Invisible Sun universe, like those we heard revealed along the Path Of Suns. Or in other words: More—much more—will be revealed as we walk the Path of Suns to its end, then turn about and retrace our route along the Nightside. Watch, read, and learn, if you care to, about what it means to summon the infamous Black Cube from the void. Gen Con 2016 was one of the better cons I've attended. I had a great time, and I'm energized. Even though I was slightly busier this year— both MCG duties and Writer Symposium functions required my time—I was much more part of things. Actually, being so busy in multifarious activities was one of the contributing factors to my satisfaction with this con. For instance, the Writer's Symposium was a great way to re-connect with the kind of panels I used to do at Norwescon a few years ago. I also met several interesting fellow authors on those panels and at related functions. I also spent a lot of fun time with the MCG crew, both while working and in grabbing a meal here and there, which I enjoyed a lot since I count everyone at MCG as a friend. I was proud of our Instant Adventure seminar where we played in front of a crowd [video link pending] and our announcement of the Invisible Sun roleplaying game, a secret we've long kept. Of particular note, I was grateful for all the people who told me about their positive experience playing games of The Strange and Gods of the Fall. For whatever reason, it struck me that I was part of their happiness because of the work I'd done on those products. Yes, I know that's been true for years starting with my D&D writing going back two decades, but it's easy to lose sight of that when you're always working on the next thing. 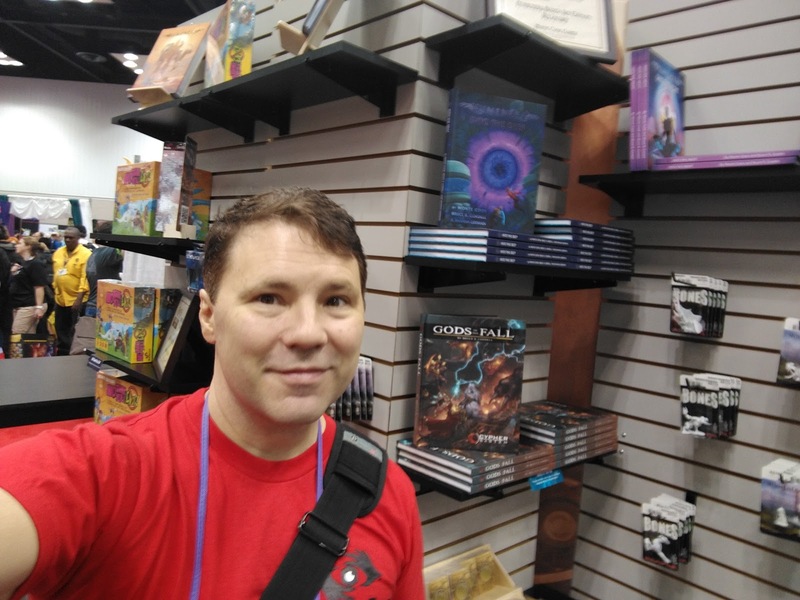 For me, Gen Con 2016 was a great touchstone. I met tons of people who are actually buying and enjoying material I'd helped create. It left me feeling validated that it's not only all worth it, but also made me realize that I'm actually achieving something actively positive in the world.